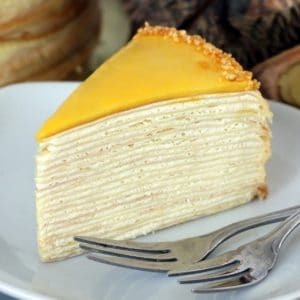 Mille pronounced as “Mil” is a French word that stands for “Thousand” and thus “Mille Crepe” simply means a cake made from crepes with thousand of layers. 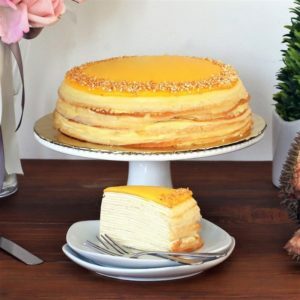 This sweet indulgence is made with repetition of one layer of crepe and one layer of cream assemble up to a cake, usually about fifteen to twenty-five layers though the name itself imply thousand layers. 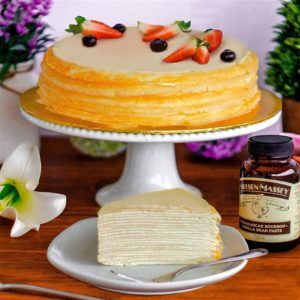 The ingredients of mille crepe cake were simple. 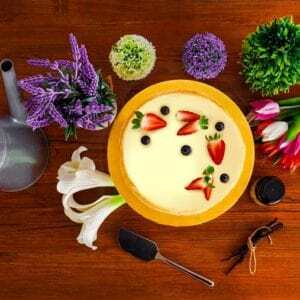 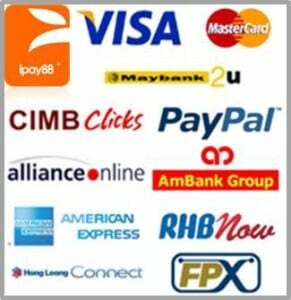 It’s mainly consists of egg, milk, flour, and butter. 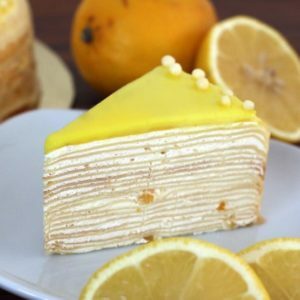 But being able to use simple ingredients to make a good mille crepe cake has not been ever easy. 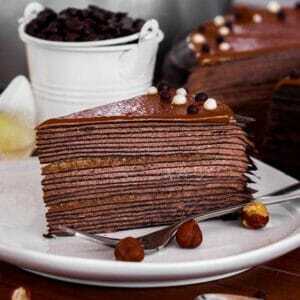 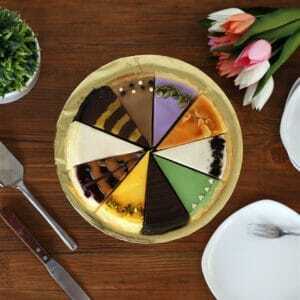 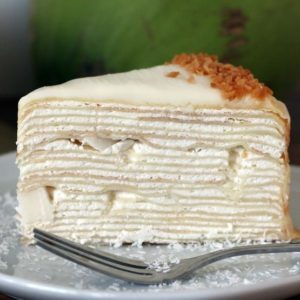 Mille crepe cake was originated from Brittney, a little town of France since the early 19th century ago. 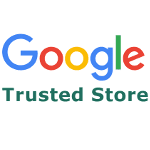 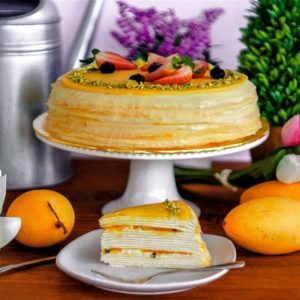 Due to its great taste and the fact that it’s a masterpiece of work that require handmade with patients, this sweet indulgence were spread to the other parts of European countries and United States, and later in the Asia countries. 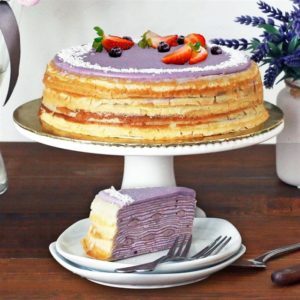 In Asia it’s especially famous in Hokkaido (Japan) and Taiwan. 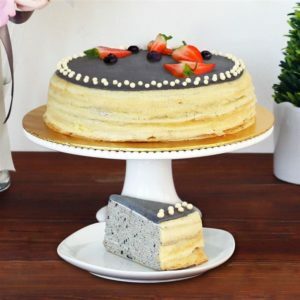 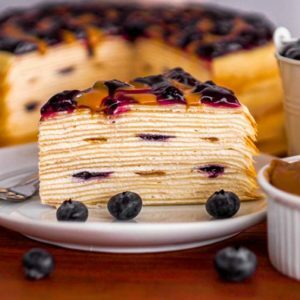 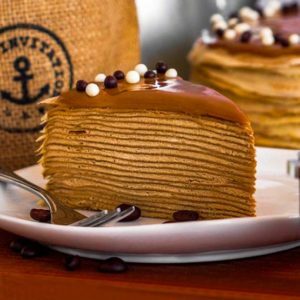 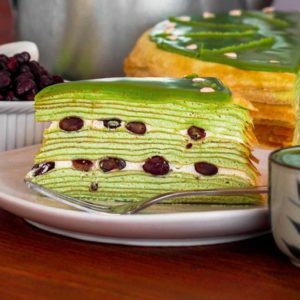 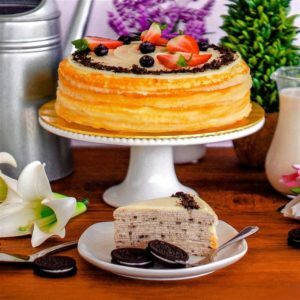 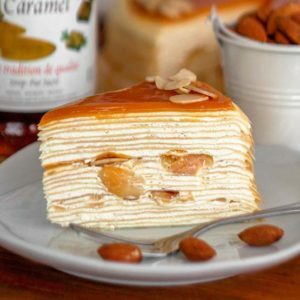 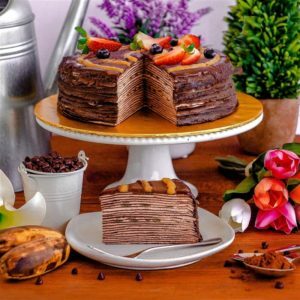 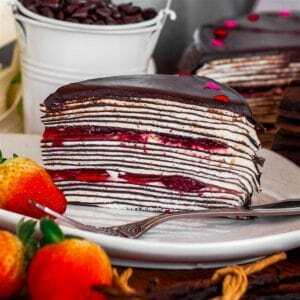 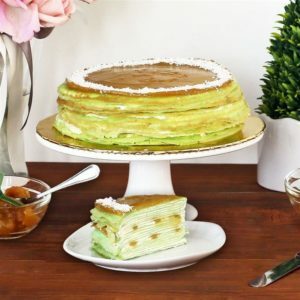 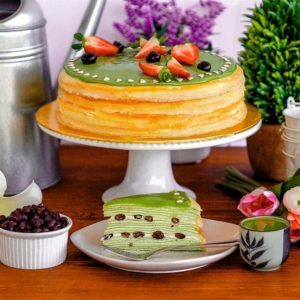 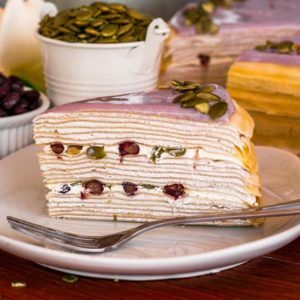 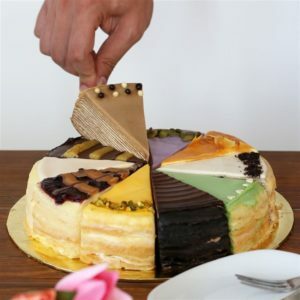 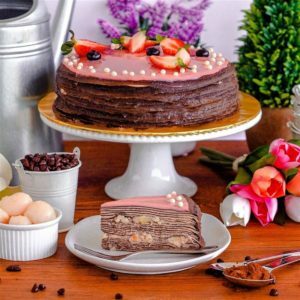 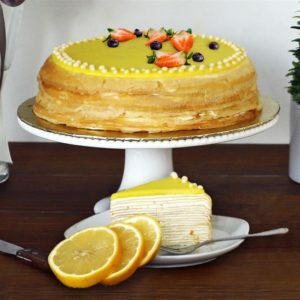 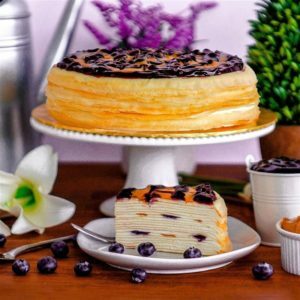 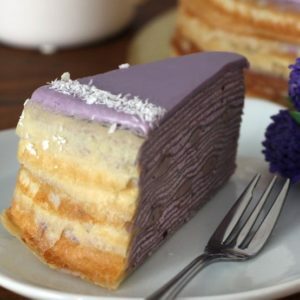 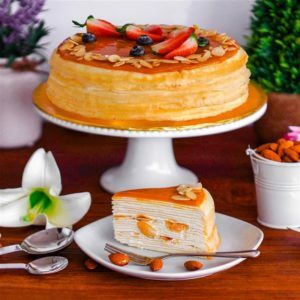 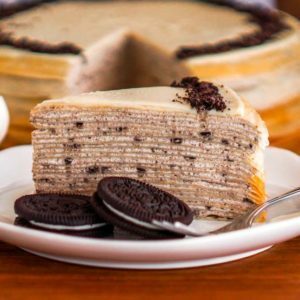 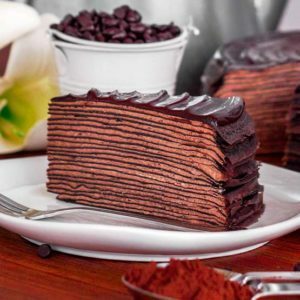 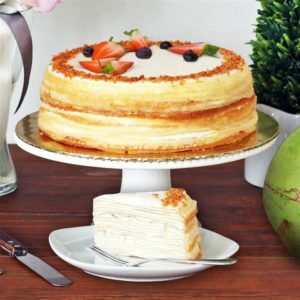 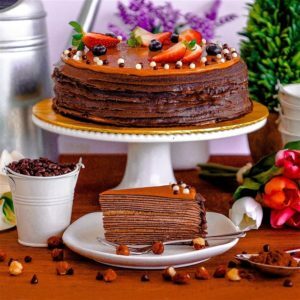 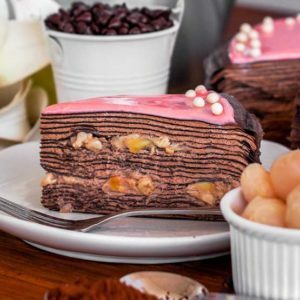 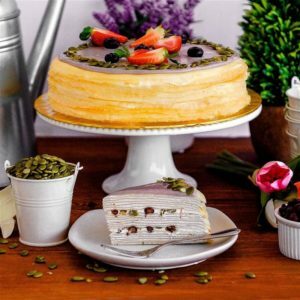 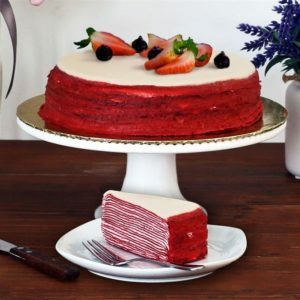 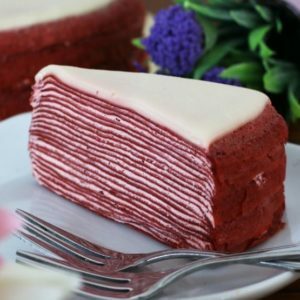 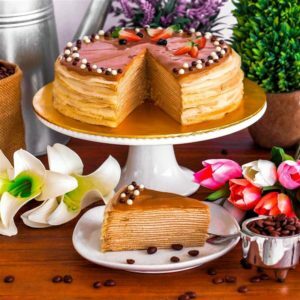 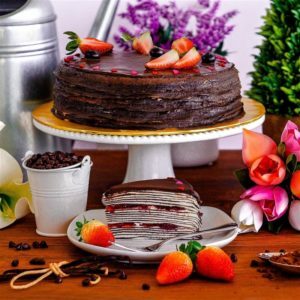 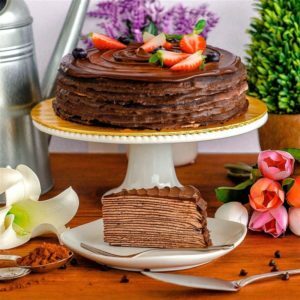 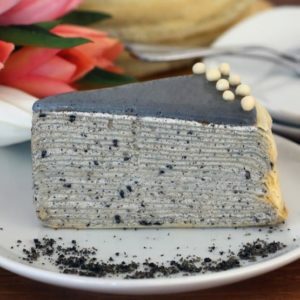 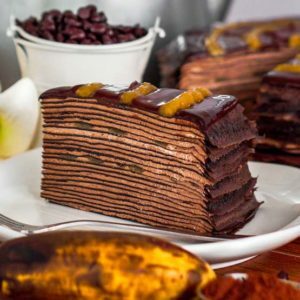 The mille crepe cake influence was brought into Malaysia back in early 21st century and it has gone well accepted by the local since its inception. 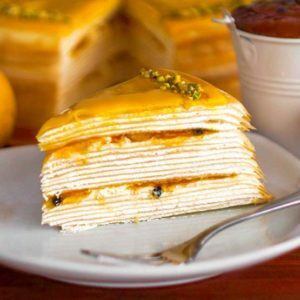 Crepes are enjoyed in many ways whether sweet or savory. 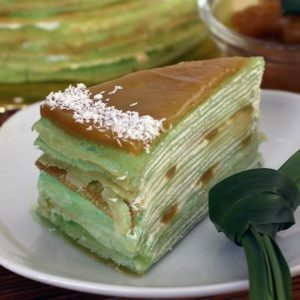 Other than mille crepe, some of the other crepes enjoyed around the world were crepe suzette, galette, äggakaka, and crêpe dentelle.